Tick tock, Halloween is only a few weeks away which means the count down the party is on. 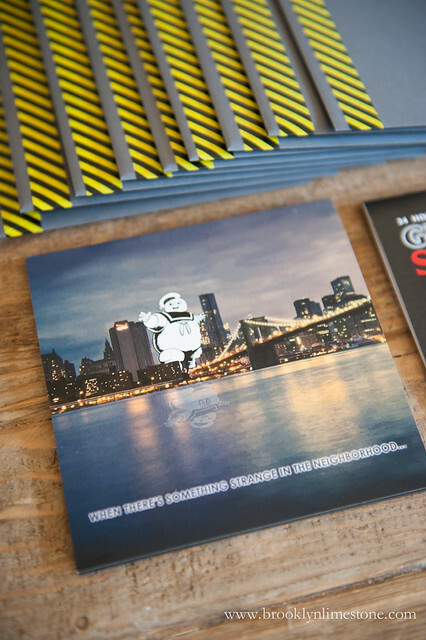 Time to reveal this year's Halloween invitations. 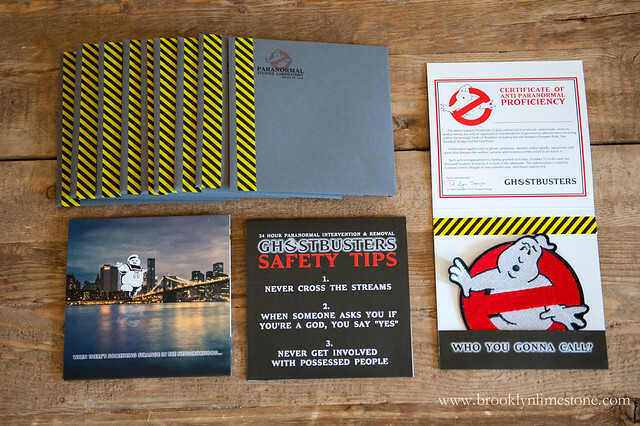 This years invites duly swears in the guest as Ghostbusters for the evening complete with certificate and embroidered badge. Obviously this one is a hit with the kids with plenty of fun for our adult friends who remember the movie. Check out our prior Halloween party invitations: xray inspired invitation in 2008, 2009's creature survival kit invite, twisted freakshow siamese twins invitations in 2010, sick insane asylum invitations in 2011, the whimsical Wizard of Oz ruby slipper invite in 2012 and last year's mini shark attack invitation in an envelope. They look fabulous! I also got a kick out of your previous years' invites! So great! 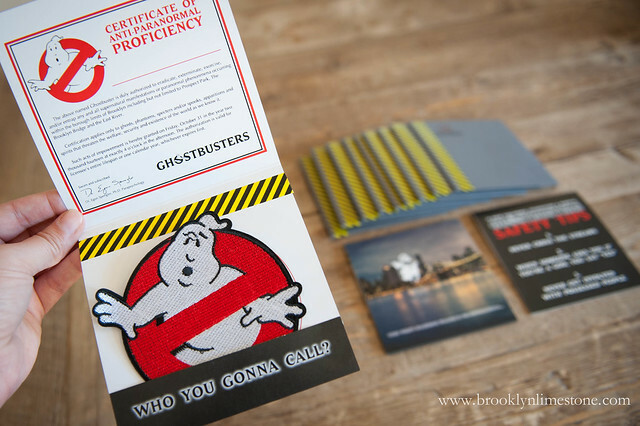 Love sending everyone a certificate with a real badge too! Great idea! What a fun theme! The badges are a great touch. I got excited when I saw the instagram with the Ghostbuster signs! That is so fantastic! I would be so pumped to get invited to your party. Thank you. I doubt I will ever make these but I love to find inspiration that goes all out and does it right. I will patiently wait by my mailbox. Maybe THIS is the year I will get one. sigh. ;) Love em actually. No one does up Halloweeen quite like you! 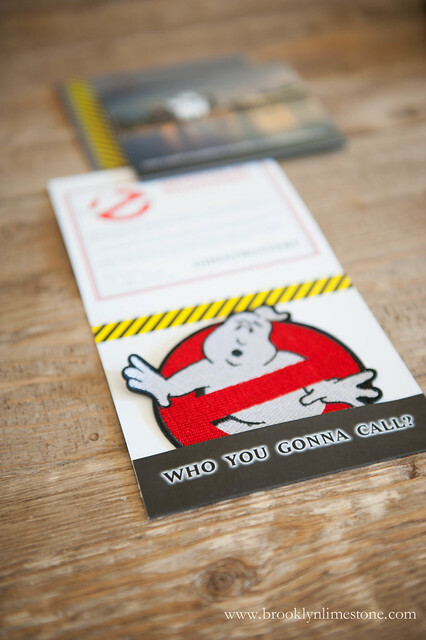 Love these Halloween Invitations. Are these available for sale? I would love to purchase them for my 6 year old's birthday party!